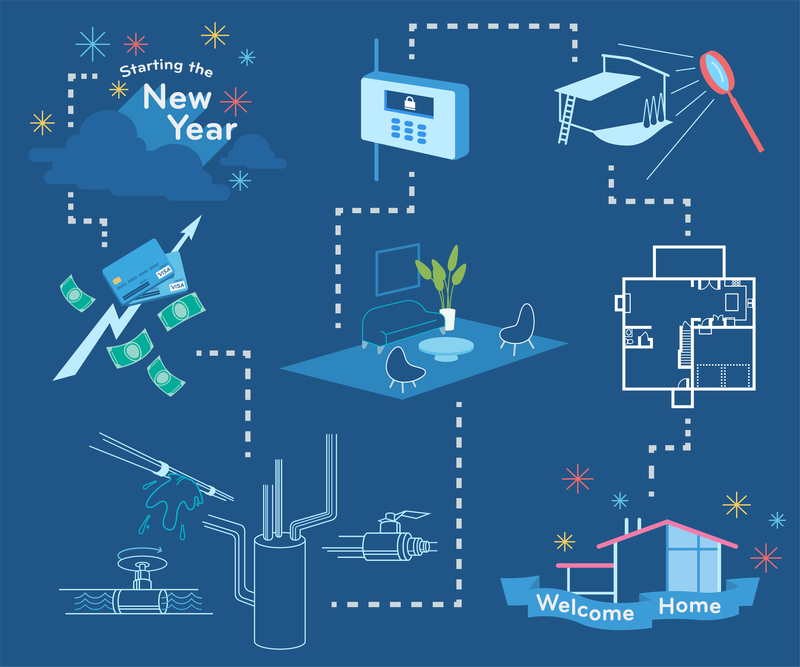 Is buying your first home your New Year’s resolution? We say this is the year to go for it! All you need to make your resolution a reality is a solid game plan. That’s why we’ve come up with 10 tips that’ll get you in hometastic shape to become a first-time homeowner! Saving up for a down payment can feel impossible at times. We get that. But, there are several small things you can do that—over time—will add up to big savings. First, of course, you’ll want to figure out how much you can afford and how much you may need to borrow. In order to save, it’s time to start sweating the small stuff. Cut down on any unnecessary living expenses, like magazine and streaming subscriptions. Cook at home instead of eating out—that includes coffee, hitting up Starbucks every morning really adds up. And, if you haven’t already, set up an automatic savings account deposit for every paycheck. Your credit score can be a big factor when it comes to whether or not you’ll have the ability to buy a home. The better your credit score, the better your chances are at securing a loan. Check out our Happy Hub blog post on all-things-credit-score. Pre-approval is a term used by the mortgage industry to describe the initial process of qualifying for a mortgage. When a buyer is pre-approved, it means a lender has agreed to let them borrow an estimated amount for a home. Why should you get pre-approved early? Because you don’t want to fall in love with a home you can’t afford. The pre-approval lets you know approximately how much a lender is willing to loan to you. So you can find the dream home that’s within your budget. If you’re in a competitive housing market, you should do all you can to stand out in a sea of borrowers. Getting pre-approved is one way to do this, because it shows how serious you are about buying. Also, sellers will be more likely to accept an offer when you’re pre-approved. Ok, you saved for your down payment, and you made sure you can afford your mortgage payment. However, you’re probably overlooking some critical expenses when buying a home—namely, utilities and home maintenance. When it comes to estimating utility costs, have the sellers—if they’re willing—provide the last 12 months of electric, gas, water, and heating/cooling. You can also visit MyUtilityScore.com for a free home profile score and estimates of utility bills for your potential new home. Also try to get an idea of the lawn care, deck upkeep, and cable/internet. And then there’s the cost of home maintenance. This TMS Happy Hub blog post will show you how to give your new home a checkup to make sure everything is healthy and working properly. See tip #10 to learn why getting a home inspection will help you figure out maintenance costs. Some additional monthly expenses you need to consider are homeowners insurance and property taxes. 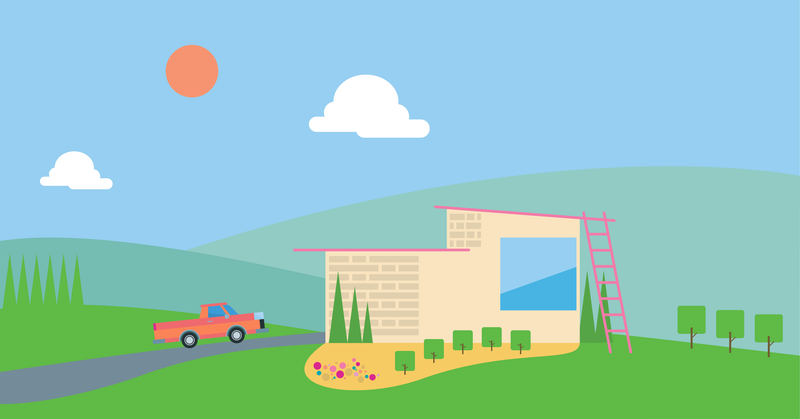 The amount of home insurance you pay may depend on the age of your home, the size and layout of your home, the location of your home, and the value of your personal possessions. And now those gosh darn property taxes—one of the major expenses of owning a home remains a mystery to most homeowners. So, what are property taxes? They are collected by county, city, and state governments, these taxes cover the cost of community services. The amount you will pay will depend on your home’s taxable value. And because the value of your home is subject to change, so are your property taxes. Use this property tax calculator to see a home’s potential tax. Yeah, we know, it’s confusing. That’s why we’d like to introduce you to escrow accounts. Simply put, an escrow account is like a separate side account that’s there to cover your property taxes and /or your homeowners insurance. Think of it like a safe money stash that your mortgage lender holds for you. Check out our Happy Hub blog post to get the lowdown on everything escrow. Depending on where you live, you may also need flood insurance. And, if you’re looking for a home with a pool, it’ll be important for you have an idea of the cost of pool insurance premiums. 6. To home warranty or not to home warranty? Good question. Also called home service contracts, home warranties are annual agreements that offset the repair or replacement cost of major home components and appliances. If the appliances in a home are older, then it makes a lot of sense to get a warranty, which may help you with the cost of replacement. However, approach home warranty companies with caution. Do your research. Read customer reviews. And steer clear of gimmicks that seem too good to be true (because they probably are!). Decorating a new home is definitely way more fun than setting up security measures, but we would be remiss if we didn’t mention this one. That’s because a burglar strikes every twenty-one seconds in this country. That means home security should be a top priority. Check out this TMS Happy Hub blog post to learn how to outsmart the bad guys. You may not think switching jobs or purchasing a new car matter when it comes to buying a home, but they matter a lot. Surprised? We’ll break it down for you. Income and employment history are two of the biggest factors lenders look at when evaluating a mortgage application. So, you want to have a steady job history. Also, your debt-to-income ratio, or how much money you make compared to how much debt you have, can have a significant effect on how much money a lender is willing give you. So, now is not the time to be making big purchases—like furniture, appliances, or car. An emergency repair/home improvement fund can save you from financial disaster. While it’s easy to believe your home is in great shape, you honestly never know when you’ll have to deal with an expensive plumbing bill or flooded basement. What is an emergency repair/home improvement fund? It’s pretty straightforward. First, you want to have money set aside if disaster strikes (like if the HVAC goes kaput or the roof needs replacing). And second, you want to have money available to make home improvements so that you can avert disaster. Water heater on its last legs? Replace it. Carpet older than your grandpa? Replace that too. And bonus, not only will home improvements save you money and headaches in the long run, they will also add value to your home. 10. Full disclosure + home inspection = a win! A new home is full of new possibilities, and that’s exciting. But, it can also be full of old problems. That’s why most states require that a home seller disclose potential structural problems with the home. But, it’s possible that a homeowner may not always know or reveal problems. The only way to really know the health of a home’s structure is to hire a reputable home inspector. Heads up: expect to pay $300-$600 for the inspection. We know, that’s a lot of money, but just imagine how much money it can save you if the home isn’t up to code or has major structural issues. An inspection is worth every penny! This is the year to make your home-buying dream a reality. With these 10 tips you’ll start to see your homeownership knowledge grow (as well as your savings! ).